Don’t blame your excess weight on a slow metabolism! It’s not unusual that many of us blame on excess weight on a slow metabolism. Do you remember how many times have you gave up greasy caloric food and even started to work out regularly but kilos never seem to loose? Found in this situation, many times we have blamed our metabolism? But, what is actually a metabolism? Can we do anything to boost it up a little and lose weight? Metabolism refers to a set of life-sustaining biochemical processes that incessantly take place in our body cells. Of course, these processes require energy. Minimal amount of energy necessary for performing the basic functions of our body like breathing is called basal metabolism which generally requires up to 70% of the calories we bring into our body. Confection size, age, gender, body/muscle fat ratio – all this determines basal metabolic rate. Naturally, muscles require more energy than fat so it is only logical that people with more muscles will have a higher metabolic muscle rate. Additionally, men in general have faster metabolism than women because thy are more muscular, so they need to bring more calories into their body. Is a slow metabolism the cause of our excess weight? People with weight issues often put blame on a slow metabolism. However, numerous studies on thousands of people around the world have shown something surprising. 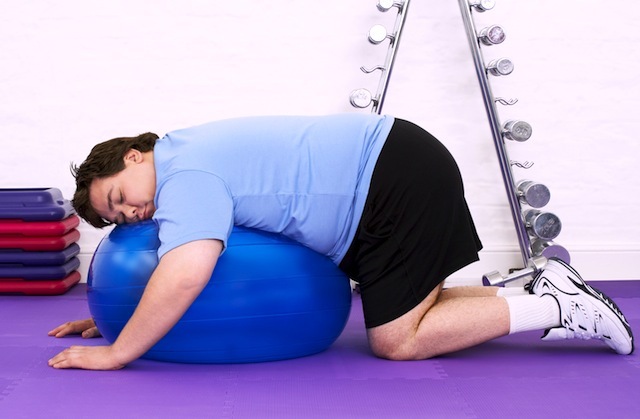 Namely, people with an excess weight have a faster metabolism than others. Surprised? You see, overweight people have much faster metabolism because they require much more energy for a certain activity than a skinnier person. The studies have also shown that overweight people often have a wrong perception regarding the actual amount of food they eat, meaning, they eat much more than they really think. In order to know exactly how much food you eat on a daily basis, it would be best to start leading a diet diary. You may end up surprised in the end of the day when you realize how much food you’ve actually eaten. The most frequent reason why we get fat has nothing to do with metabolism, instead, we simply introduce more calories in our body than we burn, and all the excess needs to be stored somewhere, and where to but in fatty tissue under the skin. Can a calorie restrictive diet slow our metabolism? Restrictive diets represent a shock to our organism, and besides, they significantly slow down our basal metabolism. Why? Well, when we introduce a minimum of calories into our body, it gets the signal that all our body functions are also being slowed down so the whole metabolism slows down as well because our body attempts to preserve the energy, so it burns fewer calories. This is similar to computers since they use much less energy being on a stand-by mode, even though they are still plugged in. What can we do to boost up our metabolism? We can often hear that certain types of food and drinks can speed up our metabolism such as chilli, green tea, black coffee, spices and various energetic drinks. Yes, they may speed up our metabolism a little, but not that significantly. Instead of losing our time on blaming on slow metabolism for your weight issues, rather turn to something you can actually control, like burning calories through physical activity. The more intense physical activity is, the more calories will be burned. In fact, people who claim to have faster metabolism are in reality only physically more active than others. The best way to lose weight is to combine aerobic exercises with power (anaerobic) exercises. Aerobic exercises are the most efficient for burning calories, regardless if this is swimming, running, bicycling or speed walking, as long as you do this regularly. Muscle tissue burns more calories than the fatty tissue so if you wish to lose some weight, build muscles! And by that, I don’t mean you should look like bodybuilders, but it would be recommendable to exercise at least two times a week to work out all the muscle groups. In addition to losing weight, you will shape your body and look better. So, unless you have thyroid problems or something similar, don’t blame on your body fat on a slow metabolism? It is time to stop being jealous of your friend for whom you think eats everything but never gains weight, you’ll see this is not always true. Activate yourself and make smarter food choices, the results will surely be visible.